A Discount Ticket to Everywhere: Judging a book by its cover? 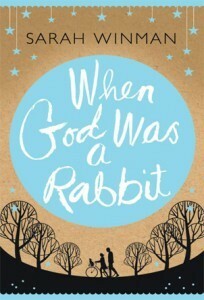 I recently stumbled across When God was a Rabbit by Sarah Winman (Headline), and Gem Squash Tokoloshe by Rachel Zadok (Pan). Both books had intriguing titles and appealing covers - enough to catch my attention at any rate. Although I hadn't heard of the second of these books, they both had good reviews. There are certain similarities between them, as each deals with the world through the eyes of a troubled child, growing into adulthood. Each is also sprinkled with a dash of magical realism. They both tackle big topics, from abuse and violence to apartheid South Africa and 9/11. They were both enjoyable to read, once I got past the opening section of Gem Squash, which I found rather off-putting. Each book succeeds very well in getting inside the mind of its narrator, Ellie in England and Faith in South Africa, and showing us the place and time in which she grows up. I felt that Gem Squash rather skated around the issue of apartheid, however, as Faith is too young to understand in the early section, leaving things implied rather than stated. By the time she is an adult, the regime has come to an end. In WGWAR, on the other hand, the author seemed to feel that because her timescale included the year 2001, she had to include the attacks of September 11. To me it seemed a little contrived. Personally, I could also have done without the talking rabbit and the South African fairies. 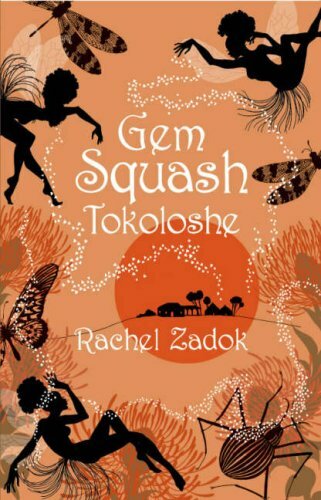 Surely it must have been possible to confirm the already-telegraphed events of Gem Squash without the intervention of a malevolent fairy... Still, as I said, they were both enjoyable to read and each had some very funny moments. I don't think they'll be ones for re-reading though. Pity.